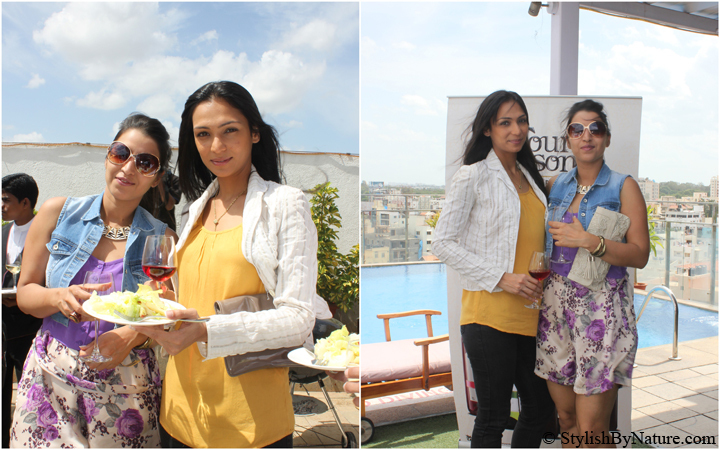 Home / best fashion blog india / Events / Food and Wine / Four Season Wines / How to wear Jumpsuit / india premium fashion blogger / India Street Style Fashion / Top fashion India / Four Seasons ~ Learning wines with pleasure !! 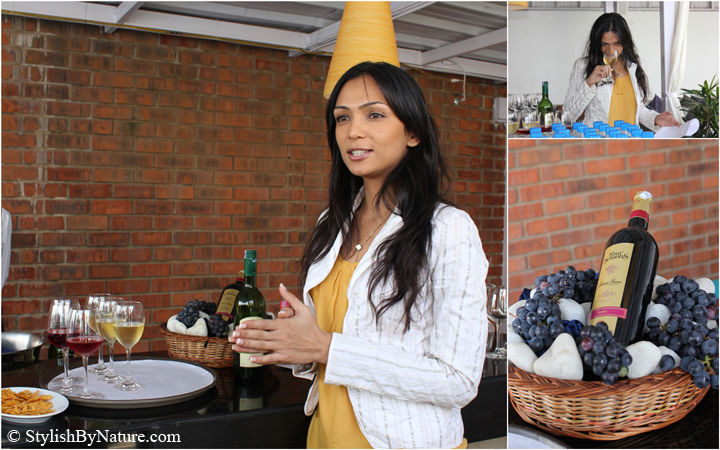 Four Seasons ~ Learning wines with pleasure !! Last weekend Four seasons organized Wine tasting and cooking with wine session at Hotel Royal Orchid...Lovely breezy B'glore afternoon, Pool side dining, 6th floor terrace, live cooking by the Chef, beautiful Wines doing the rounds....It couldn't have been better then that !! And then to add spice to the evening, walked in ... beautiful former Miss India Earth Shamita Singha !! See, Swirl,Smell and Sip !! The food being cooked was great and paired well with wines. Everyone was thrilled and super charged to try their hands and experiment with live cooking, which was a great experience. Special mention : Bar be qued chicken and Thai curry were cooked really awesome and worked really great with all friends. In the end I want to reiterate my words "With great food, good friends and fun people around, doing great talks and jokes, its a perfect combination to spend time and enjoy Wines." like d two looks. d denim made all difference. love d jumpsuit colour n off course ur attitude!!! You look stunning and purple is definitely your colour!!! What a fantastic time and fancy affair. Loved your mustard top. Wow, looks like so much fun! I just love events like that! Ooh this is sucha cute outfit i love it! looks like you had a great time Shalini. you look very confident and sharp as usual. very purplicious!! 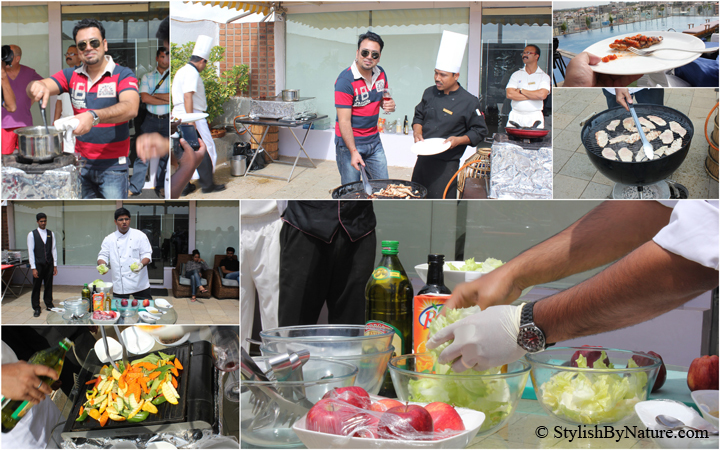 recently..four seasons also organized a live cookout in delhi..which was liked by a lot of bloggers..including me!! and u look so pretty in the outfit!! nice pics and lovely outfit!!!!!!!! Love wine so much but then again I do live in the wine capital South Africa. The process and how complex each bottle can be is truly fascinating to me! Looks like you had an amazing time, nice people, good food. those purple heels are calling my name! ah i heard of this 2nd round so as to say for the 4 seasons wines..you looked awesome! you look beautiful.nice images and awesome outfits.i like it. thanks for posting it.